New Members get a discount and a Meguair's gift. The Mercedes-Benz Club stand at the 2017 Classic Motor Show (NEC Birmingham, November 10-12) will be more prominent than ever before – and again offer a welcome haven for visiting Members. Stand number 220 in hall one will feature an intriguing collection of eight cars, ranging from a 1950s 300SL Gullwing – the world's first super-car – to a 1990s 'young-timer' classic 190E 2.6. 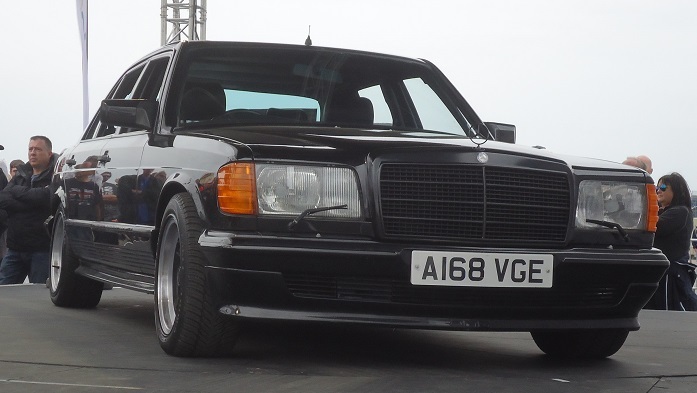 The other six cars on display will be a land-mark coupé, saloon and estate car from the intervening years plus a competition-prepared W123 in celebration of the AMG special tuning wing of Mercedes' 50th anniversary. Perhaps most fascinating of all will be a rare chance to see the AMG-modified S-Class that for many years was owned by ex-Beatle George Harrison. Club Members, who have the opportunity to book tickets in advance at a discount, will also be able to enjoy the Members' Café with free tea or coffee and biscuits. All the cars on the stand are being supplied by Members and the entire display is produced entirely at the Club's own expense. The Club's Technical Team will be on hand to answer Members' queries and the Club Shop will be selling clothing plus car and personal accessories. Anyone joining the Club at the show will have the normal £5 joining fee waived and receive a Meguair's Wash & Wax car care kit, worth £25. Annual subscriptions start from just £35 per year if paid by direct debit. Club Members can take advantage of preferential terms from a wide range of companies and organisations. These include exclusive insurance policies plus discounts from appointed Mercedes-Benz dealers,hotel groups, ferry operators and car accessory suppliers. The Club also has a scheme to offer its Members tuition from the Institute of Advanced Motorists. The photo accompanying this release shows the ex-George Harrison 500SEL.